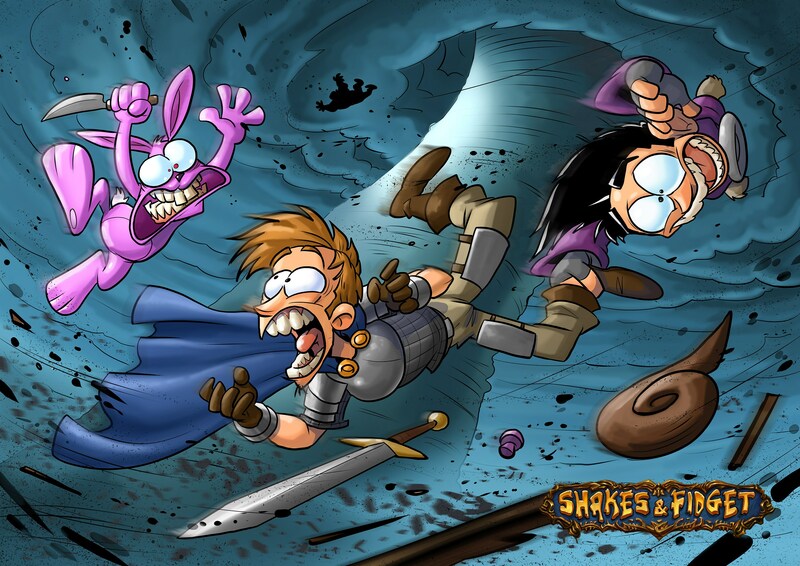 Shakes and Fidget has received a new content update that introduces a new server structure, a new dungeon, new sets and a new feature that allows players to finish an adventure. Also, the game has been converted to HTML5, leaving Flash behind. And the new HTML5 version can now be tested, since it just went into open beta. With the new HTML5 version, some game worlds will be merged in the next few weeks. But don't worry, progress won't be lost. All characters and scores will be preserved. The update also introduces "The Twister", a new dungeon with a total of 1,000 floors where three new sets are waiting to be salvaged, and the new "quicksand glass of impatience", a feature that allows players to finish an adventure without having to spend a mushroom and without having to wait.